The Supported Accommodation service works in partnership with Housing Associations, United Welsh and Linc Cymru, with funding from Cardiff City Council Supporting People Grant, to support 26 people in shared houses and flats. 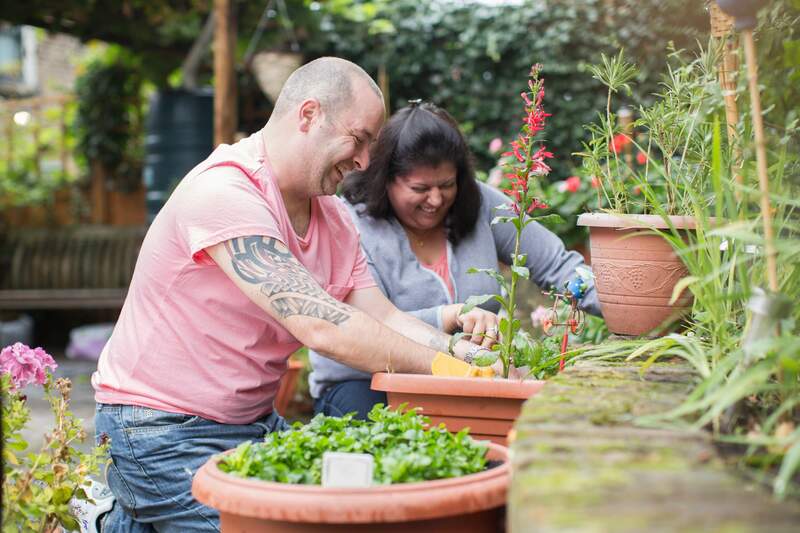 Our skilled and committed staff are available to provide support during the day and on-call at night and work with people to support them to identify their goals and draw up a goal-orientated individual support plan to develop the necessary skills and confidence to live more independently. The aim of the service is to encourage people who have long term mental health problems to develop the social and general living skills which will enable them to live successfully in the community. If you would like to apply for Supported Accommodation you need to contact Cardiff Council's Housing Advice Unit on Cardiff 029 20 537 111 or call into the HUB at Cardiff Central Library for Advice. If you are a Professional enquiring about Supported Accommodation you will need to contact Cardiff Council's Housing Advice Unit on Cardiff 029 20 537 111 . You will then be sent a Supported Application Assessment Form which you can forward to 'Gateway' along with a current Risk Assessment. Once accepted into a house or flat the tenant will be allocated a Support Worker. The Support Worker will take the tenant through the move in process giving practical information, going over tenancy documentation and explaining the process of support. They will explain the tools they will use to document support, in particular assessment of needs and support plans. We will meet with tenants regularly to discuss issues and to help them work towards greater independence. Plans and assessments will be reviewed on a regular basis with the tenant. We will assist in obtaining move-on accommodation once it has been identified that the tenant is ready to move on. We work extremely hard to provide the best possible service but occasionally we get things wrong. To make a complaint, contact us.